iOS 7 is finally here. In the face of the rapidly evolving Android and Windows Phone, Apple really needed to totally revamp its mobile operating system in order to have a chance against the competition, which has taken a big place in the market over the last few years. And revamping iOS is exactly what Apple did. Gone is the old iOS and the operating system has undergone a much-needed overhaul, inspired at least in part by Android and Windows Phone. Not only has there been a big change made in the visual design, but the usability has also been really improved. Overall, the operating system has really evolved, making a huge change for the better. 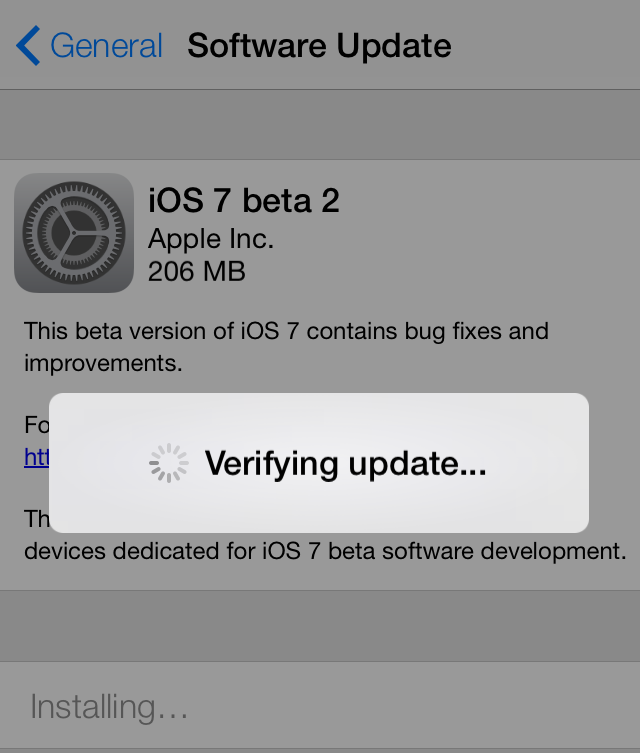 Without any further ado, here are the top new iOS 7 features that you should know about. Love it or hate it, gone is the skeuomorphic design from the old iOS versions. iOS 7 now sports a modern look, having been redesigned from head to toe in a much flatter design, although not as flat as some had feared. All of the apps have been modified to adapt to the new design. The ugly green felt is gone from the Game Center app. It was one of the most-hated apps to adopt the skeuomorphic design, which attempted to make apps familiar to users by coating them with elements from the real world (wooden panels, leather stitching, film reels and what not). Skeuomorphic design was for an age that gasped in awe at touch screens and smartphones – a feature that made this amazing stuff familiar to customers. But now every next man has a smartphone, and skeuomorphic design is no longer needed for familiarity. That’s why it’s clear that iOS has surely upgraded to a much more quote-unquote modern look. Many of the default apps have not only been modified to adapt to the new visual design, but have got great upgrades in terms of usability as well, taking cues from many of the apps in Apple’s own App Store. The weather app shares design elements from Yahoo’s weather app on the App Store, which is arguably one of the highest-rated weather apps of all time. Instead of Flickr backgrounds however, the background is like an Android live wallpaper, changing from cloudy to sunny and more depending on actual weather conditions. The Mail app now allows you to take action on inbox messages with a swipe – a feature in the hugely popular Mailbox app on the App Store. The Calendar app now lets you swipe between days in portrait mode with a flick. Turning the phone to landscape lets you see the whole week and zooming out with a pinch lets you see the entire month or year. Safari has also undergone a huge overhaul. With 3D tab-switching, improved bookmarking and Twitter integration, it has become an overall much better browser. There’s a big change in the Camera app as well. The app now has a slew of new features. It lets you add filters right in the camera app (just like Instagram, but without the whole sharing thing). Photos and videos can now be shared to other nearby devices using AirDrop, which uses a combination of Bluetooth and a wireless tethered network for super-fast wireless data transfer. This is a really useful feature, and it’s obvious that it takes a lot of inspiration from Android’s quick settings. You no longer have to dig through the Settings app for the simplest of things. Wherever you are on your iPhone, swiping up from bezel-to-screen brings up a whole bunch of settings that can be modified with a single tap. These include WiFi, Bluetooth and Airplane mode and brightness and volume sliders. There’s even a flashlight button! Multitasking was a chore on previous iOS versions. iOS 7 brings a much-improved multitasking interface. You still have to double-tap the home button, but it now takes up the whole screen with zoomed-out previews of each app (which look like cards) displayed side-by-side. Closing an app can be done with a simple swipe-up motion. The notification center has also had a huge improvement.. It now intelligently splits your notifications into the three top-level categories: “All”, “Missed” and “Today”. The latter gives you an instant view of today’s calendar events and things on your to-do list. Apple’s personal assistant is now much more advanced. The voice is much more like a real voice now and less like a computer voice. According to Apple, it is now much better at understanding your voice commands and at answering questions. It also brings up results from Bing, Wikipedia and Twitter. It has also adapted to the modern design as well. The new look is much-improved and is much more pleasing to the eye. iOS 7 had a huge list of new features which even Apple was not able to cover in its long presentation at WWDC. iOS has made a huge change for the better, and it’s great see that the operating system has evolved so much, no longer sticking to old, outdated ideas. Can You Go For Hours Without Checking Your Phone?